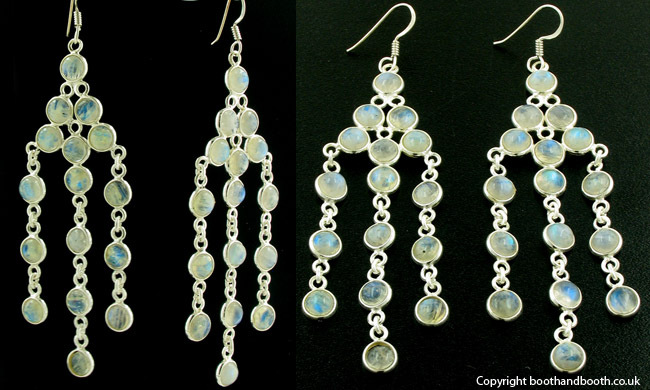 Long rainbow moonstone waterfall earrings set in sterling silver. Glowing with electric blue schiller floating through every stone, these are fabulous moonstone earrings. The moonstones cascade from a plain ear wire into 3 tendrils. 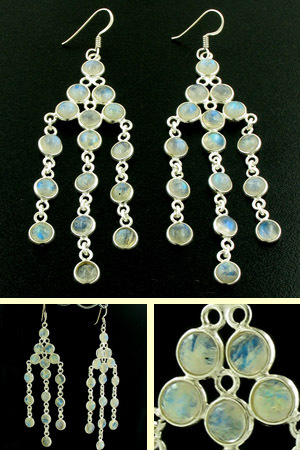 The moonstones are round and bezel set in sterling silver so the overall character of the earrings is light and graceful. These earrings look great with our moonstone necklace Erin. 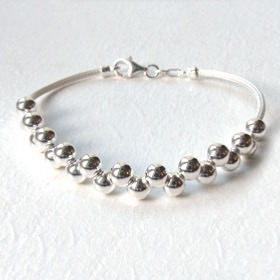 Enjoy Free UK Delivery on all our moonstone jewellery.